They endured thirteen years of war, dozens of bombings each and every month, but their focus was on one goal: to become Olympic champions. 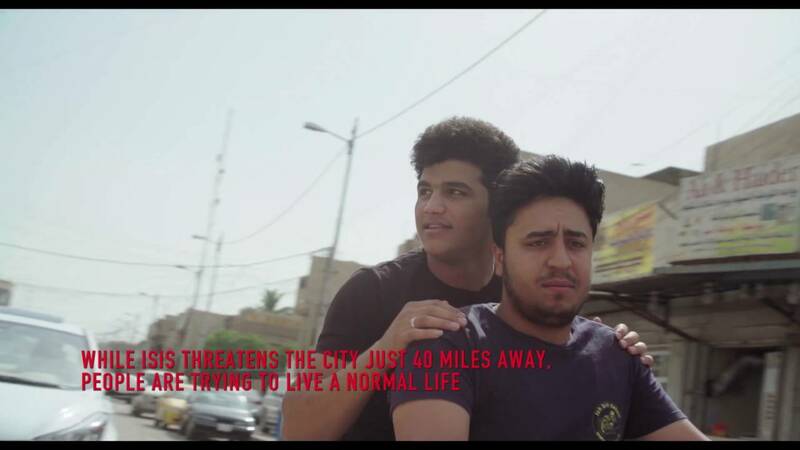 Hands of God is the true story of the Iraqi National Boxing Team – Waheed, Jafaar, and Saadi - and their amazing journey from desperation to the edge of an historic qualification. The film follows a group of young men who, with grit and determination, rise to fight for their Nation while defending their lives on the battlefields. When their gym is devastated by a bomb attack, they train outside. Despite living under the persistent threat of ISIS, these men re-define comitment and sacrifice as they strive to accomplish their dreams. Will Private Waheed find enough time to for training while undertaking his army duty? Will young Jafaar maintain his focus while living in the most dangerous suburb in the world? Will promising heavyweight Saadi come back from his mission to liberate Falluja? From Al Sadr City to Rio de Janeiro, Hands of God is a stunning tale of hope and redemption. Executive Producer: Alfonso Cuaron.